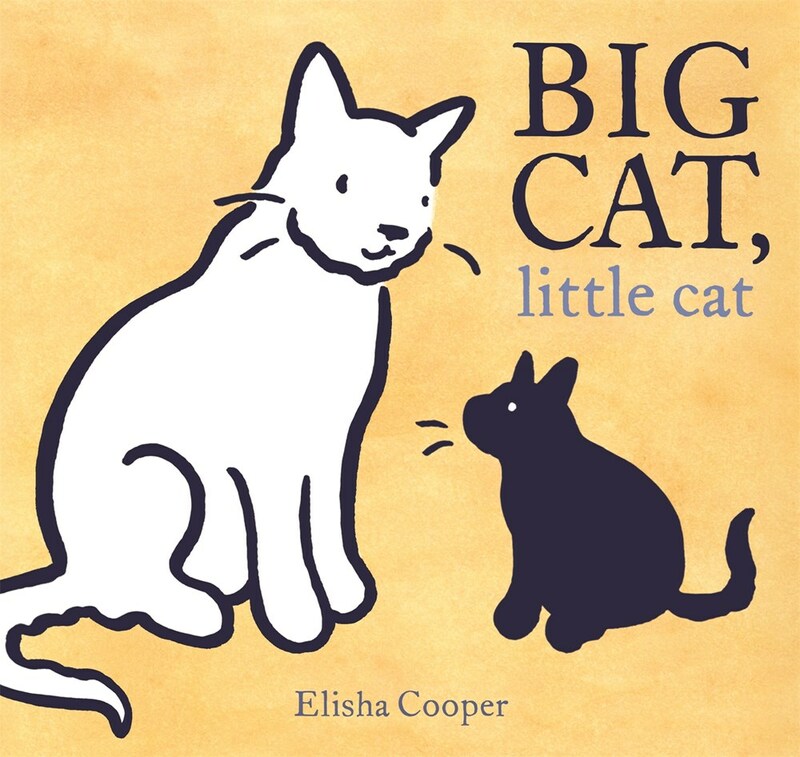 When my friend Sally recommended Elisha Cooper's Big Cat, Little Cat, I knew it had to be an extra special book. Sally and I are both -- let's just say -- cat enthusiasts, and it takes an exceptionally beautiful cat book to impress us. So when she described the book as quiet, gentle, and (most importantly) beautifully illustrated, I immediately purchased it. And, of course, Sally was right, which is hardly a surprise! The book begins with the line: "There was a cat / who lived alone. / Until the day / a new cat came." This takes place over the course of three spreads, so words are sparse and every syllable is significant and pushes the story forward. Like his words, Cooper's illustrations are even more meticulous. The book is mostly black-and-white, with occasional pale yellow backgrounds to add warmth to particular moments in time (like the cats' first snuggle!). Everyone should be warned, this book is a bit of a tear jerker, but it's because of the emotion behind the story that the illustrations become even more poignant. The use of white space in this book is beautiful. It creates such a distance between the two cats at first, and as the cats get to know and love each other, it's heart-warming to watch the physical gaps between them begin to close and the white space continue to diminish. There's a scene where readers witness the two cats side-by-side as the black kitten begins to grow, literally closing the visual gap between the two cats. Toward the end of the book there's hardly any space between them at all, and it helps readers to understand their emotional closeness in relation to their physical proximity. As Sally said, it's a quiet, gentle, and beautifully illustrated book, and I would recommend it to cat lovers everywhere. Big Cat, Little Cat published in March from Roaring Brook Press!